Snooky Pryor created the amplified down home sound of post-war Chicago Blues. 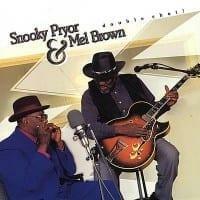 His singin´ and harp playing was influenced by John Lee Williamson (Sonny Boy I.) He recorded in the 50´s on the Labels J.O.B., Parrot & Vee Jay Records.In the 70´s and 80´s he toured again frequently and also recorded great CD´s (mostly on Electo-Fi Records and Blind Pig). In the 70´s he recorded the Wolf-CD “Sad and Lonesome” with Homesick James and also toured Austria. This CD is a mix of unreleased live and studio recordings!!! En octubre de 1979 Snooky Pryor y Homesick James realizaron una gira por Europa. En Viena, Austria grabaron un excelente álbum titulado “Sad And Lonesome” en el que ambos compartían las partes vocales. Sin embargo, algunas de las canciones que solían tocar en sus conciertos de la gira no se recogieron en aquel cd. Ahora Wolf Records ha decidido deleitarnos con esta pequeña joya histórica que, a pesar de no tener un sonido excelente, si posee otros matices y grandes valores añadidos para los amantes del género. El disco incluye algunos de aquellos temas en directo que no se publicaron, junto a algunos otros grabados en estudio, donde Snooky Pryor y Homesick James tocaron acompañados por Hans Dujmic como segundo guitarra y Fritz Ozmec a la batería en cinco temas, mientras que el resto de las canciones son interpretadas por solamente ellos dos, lo que da como resultado un disco de blues de Chicago south side en su vena mas rica y auténtica. Según palabras del propio Hannes Folterbauer, propietario del sello Wolf, Snooky ya no está entre nosotros pero al escuchar con atención este disco inmediatamente se puede comprobar el alma y la pasión con la que este bluesman interpretaba los blues. MUY BUENO. In October 1979 Snooky Pryor and Homesick James did a tour in Europe. 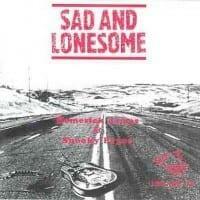 In Vienna, Austria they recorded an excellent album "Sad And Lonesome" where both shared the vocal parts. Unfortunately, some of the songs they used to play in their tour shows were not included in that recording. Now Wolf Records has decided to delight us with this priceless historical jewel that, although it does not have the best possible sound, it has other nuances and big added values to be appreciated by all blues lovers. 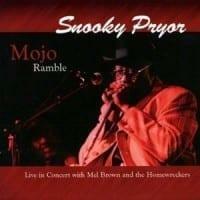 The album includes some of those live songs that were not previously published, together with some others recorded on studio, where Snooky Pryor and Homesick James were backed by Hans Dujmic as second guitar and Fritz Ozmec on drums in five tracks, while the rest of the songs are performed by Pryor and James alone, which makes as a result an album of the richest and most genuine Chicago south side blues. 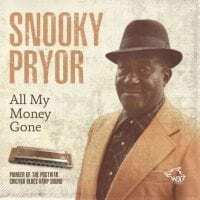 According to Hannes Foltearbauer’s words, Wolf Records owner, Snooky is no longer with us but if you listen attentively to this album, you will immediately realize the passion and feeling how this bluesman performed the blues. GREAT. “Unsurprisingly it does not disappoint . 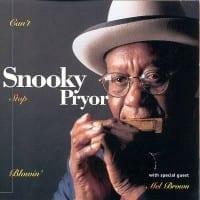 . . [Pryor] is quite simply a giant of the blues . . ….